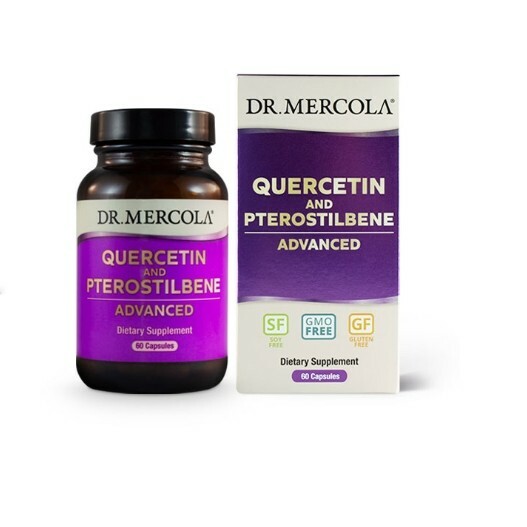 With Mercola's Quercetin and Pterostilbene Advanced formula, Mercola uses liposomal technology to increase these compounds’ bioavailability by as much as 20 times. 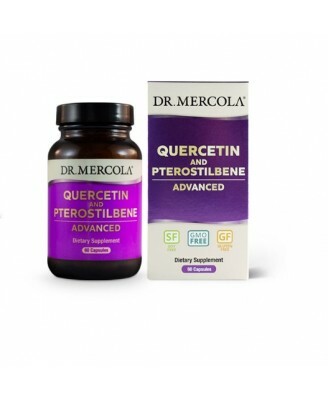 This unique formula contains Quercetin Phytosome Complex from Styphnolobium japonicum, or the Sophora japonica flower bud and the active form of pterostilbene that’s nature identical to blueberries, trans-Pterostilbene. Microcrystalline Cellulose, Capsule (hydroxypropyl methylcellulose), Carrot Powder, Sunflower Lecithin, Potato Maltodextrin, Silicon Dioxide. 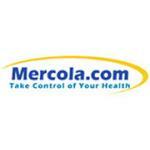 Quercetin Phytosome Complex is an enhanced version of quercetin. keep out of reach of children. Do not use if safety seal is broken. If you are nursing, pregnant, taking medication, including cholesterol lowering medication, or hav ea medical condition including high cholesterol, consult your physician before taking this product.